Wedding Planning Challenges That Are Too Real For EVERY Bride! Planning a wedding is no joke. And while you may have read every blog and magazine there is, you will have to go through your own set of wedding planning challenges. The trick is to be prepared and keep cool at all times! Here are 10 real challenges that girls face while planning their wedding. It’s hard when someone tries to impose their ideas and traditions on you. And it’s even worse when that happens to be your fiance or his family. The thing is that everyone - from your fiance, his family, you and your family, each member has dreamt of the wedding in a specific way. Try and strike a balance as much as you can. With so many functions, we’re sure you can! This is every bride-to-be’s problem! Even if you’re perfect, you want to drop a few extra kgs before the big day in order to look magnificent in your dreamy lehenga. And the hectic schedules and endless pre wedding parties do nothing to help. No matter how awesome your organizational skills are, being structured about everything from trials to invitations, vendors and meetings is NOT possible! 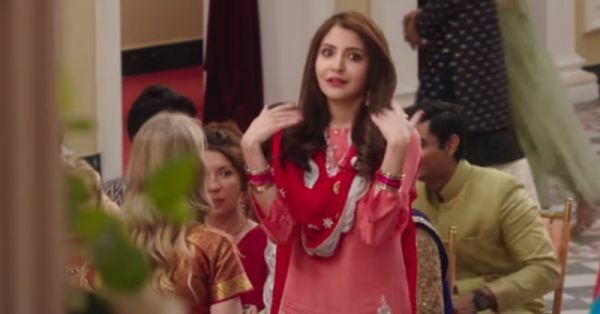 The big fat Indian wedding is maddening and we can only advise you to take it easy. Because everyone in your family wants to call 25 of their friends but your dad’s asked you to stick to a strict guest list of 400 people. And that realization that you have no clue who half of these people are is the ultimate struggle! That old school friend or that dearest tution teacher you loved – how you wished they were a part of your wedding. But damn, the memory fails you exactly when you are making the guest list. The beautician your friend suggested vs the one your cousin swears by. The two mehendi wallis who are equally good and the three caterers who make the yummiest food. Some decisions are so tough! When the salesman brings out one better than the other and each dress shouts out to you and says – buy me, buy me, buy me! Especially if you have more than a dozen amazing friends! From the sangeet performances to the bridal entry and the vidaai – there’s a repertoire of fab songs and it may take longer than you thought to finalize each of these. Explaining your exact needs to the wedding vendor is harder than you thought! And whether or not it comes out just like you wanted, well, that’s a mystery only time will solve!